Burst into life with beautiful, bright-blue, long-petalled flowers each spring! Perfect for planting in pots or straight in the ground. Supplied as a pack of 40 bulbs. Size: 5-7cm. Full instructions provided on the pack. 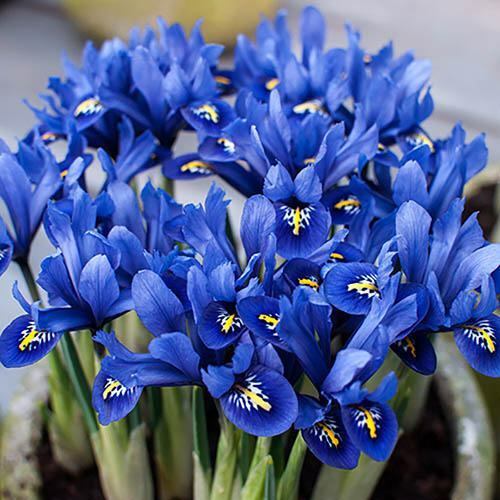 Whether planted in pots or straight in the ground these spectacular Irises will bring your garden to life each spring. Their beautiful, bright-blue, long-petalled flowers are sure to delight from March through to May. What's more, each one carries a wonderful fragrance! Leave them in the ground after the flowers die off and they will come back the following year - even bigger and better!